Transformational resources for your personal expansion. 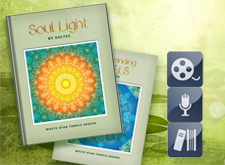 We so believe in the transformational potential of the White Star Temple teachings that we offer many resources for you to download and enjoy. The good news is our Temple is vibrant and ongoing so that more will be added on a continuing basis. Please enjoy! Choose from a wide selection of resources below, both free and premium. New resources will become available so keep an eye on this page.